Make study abroad affordable with the help of financial aid. 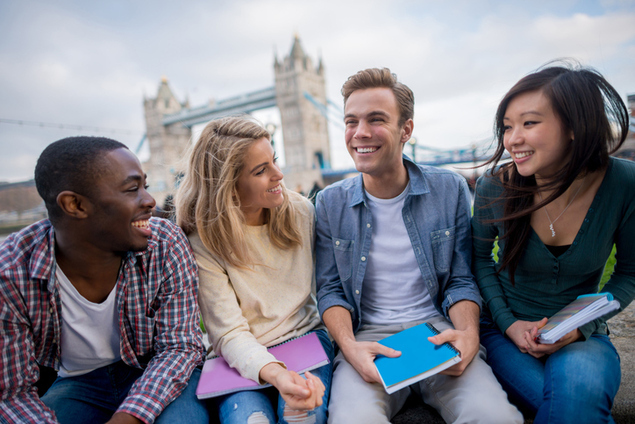 The number one reason students don’t study abroad during college relates to personal finances and the assumed cost associated with living in a foreign country. However, before students jump to a decision to not study abroad, they should consider the multiple financial aid opportunities that are actually available to them. With that kind of unexpected help, students may find that studying abroad is actually pretty affordable. What kind of financial aid is available for study abroad? Take a look at your current financial aid package – that is what’s available to you for study abroad. Your loans, grants, work-study and scholarships that you’re receiving from your current institution will help pay the way to study abroad. This includes both federal and state financial aid. In addition to financial aid from the federal and state governments as well as the school of attendance, students can find scholarships specifically for study abroad to help offset costs. These scholarships can be found at schools that students are currently attending, schools at which they wish to study abroad and third-party organizations. Unlike academic or merit scholarships awarded automatically when a student applies for admissions, students are going to have to seek out study abroad scholarship opportunities; they won’t simply come to them. Fortunately, the Fastweb scholarship database has a multitude of studying abroad scholarships available for students to explore. How is financial aid or scholarship money applied to study abroad? Finally, the Fastweb scholarship database contains scholarships for studying abroad. Users can update their profile under “Educational Experience” to indicate that they are searching for study abroad scholarships.